We have solutions to help you get a good night’s sleep. An oral appliance is used to keep the airway (throat) open during the night. Sleep apnea is the condition in which breathing pauses repeatedly during the night, causing debilitating effects due to lack of proper sleep. The American Academy of Sleep Medicine recommends dental devices for patients with mild to moderate sleep apnea who are not appropriate candidates for CPAP therapy (Continuous Positive Airway Pressure). 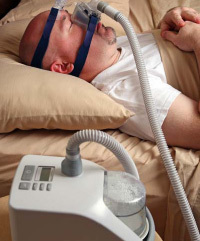 CPAP treatment (Continuous Positive Airway Pressure) has been the standard of treatment for sleep apnea until recently. It is still the gold standard of treatment for severe sleep apnea, but for mild to moderate sleep apnea the American Academy of Sleep Medicine also recommends oral appliances as the front line of treatment. We use Oral Appliance Therapy to treat mild to moderate Sleep Apnea cases. Many sleep apnea sufferers find it difficult to use a CPAP machine. Oral Appliances are a great alternative. With CPAP or Continuous Positive Airway Pressure the sleep apnea sufferer has to wear a mask at night over the nose, or sometimes nose and mouth. A steady stream of air is pumped by the CPAP machine into the airway, keeping it open and allowing a good night’s rest. However, a good quantity of sleep apnea sufferers are either intolerant to the CPAP or find it difficult to keep using. Studies report a high non-adherence to CPAP therapy – some as high as 83%. Typical issues include difficult of wearing the tight mask, too much perspiration or just dealing with constant air being blown in through the nose. 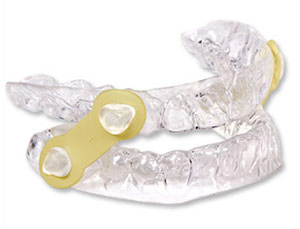 Oral Appliance Therapy consists of wearing a nightguard-like device that is comfortable and easy to wear. Depending on the study, compliance rates are between 77% and 95% with a very high effectiveness for mild to moderate sleep apnea and moderate effectiveness for severe sleep apnea. Dr. Christensen offers a variety of oral appliances to help you get better sleep. Snoring is the sound of air passing through obstructed airways during sleep. When the soft tissues at the back of the throat fall against it, they vibrate and cause the sound of snoring. Oral appliances, similar to a nightguard can be prescribed by Dr. Christensen to keep your airway open and allow you a restful, and silent night’s sleep. 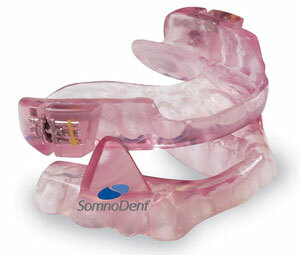 We use a variety of oral appliances, custom-fit to the patient, to stop snoring. 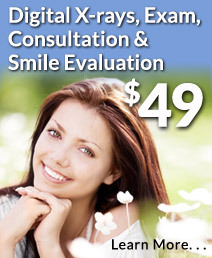 Your first step is a consultation with Dr. Christensen and he will explain the treatment and answer any questions. You can get your appliance fitted right in our office. The EMA® (Elastic Mandibular Advancement) is a very comfortable oral appliance. Especially in the case of heavy snorers, snoring can be a symptom of sleep apnea, and we can run some tests to see if there is a possibility you are suffering from sleep apnea. "I like the honest and friendly staff and I liked the way they explained everything. I look better and I feel better."